A while back my mom was diagnosed with diabetes. This is an awful disease that wrecks havoc on the body. One of the many things that tend to plague diabetics is dry skin. Dry skin for a diabetic can lead to more serious complications like infection or disease. The doctor recommended that my mother use Udderly Smooth products. My mom has been using these products for years with great success to combat her dry skin. Udderly Smooth products are alcohol free so they won't irritate sunburned skin. These products are also cruelty free and well priced. 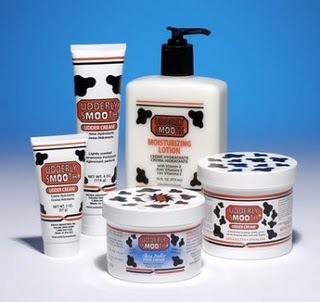 To purchase these products visit Udderly Smooth to find a local distributor.